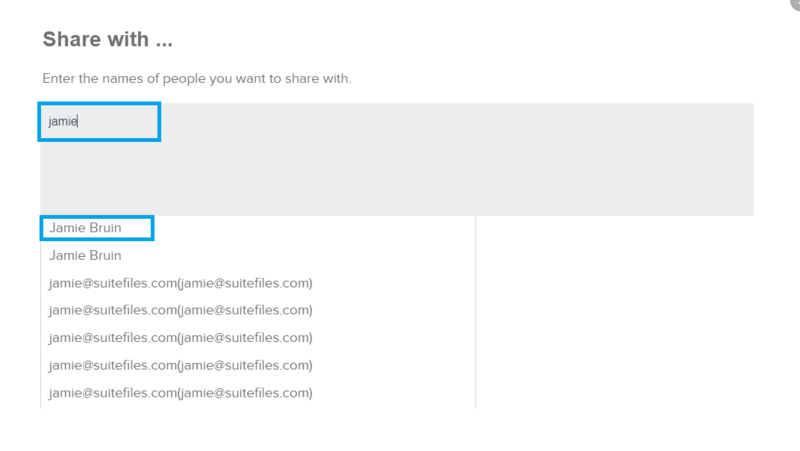 In the SuiteFiles web app you can share folders with other SuiteFiles users however you aren't able to share folders with external users. 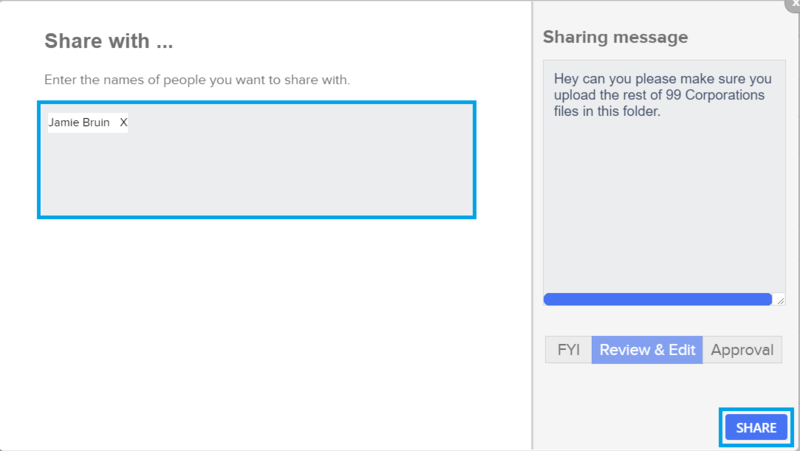 When you've added the users to share with (you can add multiple users), simply click the blue "SHARE" button to share the folder. 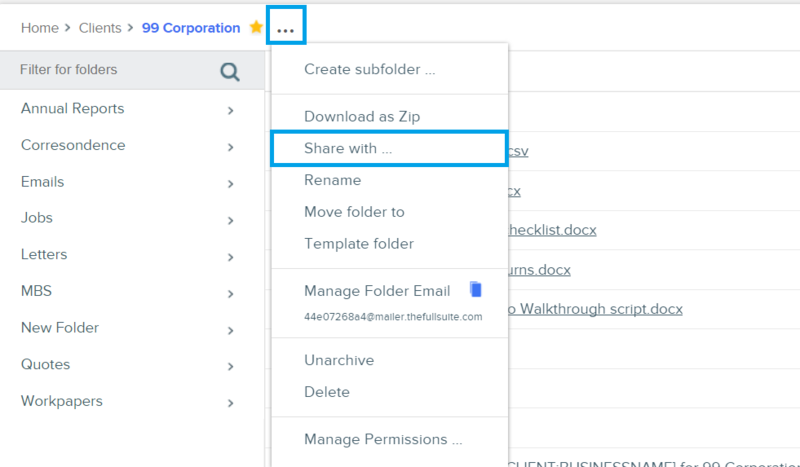 Once the folder has been shared the user will receive a notification in their SuiteFiles site, an email notification and the folder will appear under their "Tasks" tab in the SuiteFiles site. An Internal user is another SuiteFiles user in your site. An External user is someone outside of your organisation or someone who doesn't have a login or access to your SuiteFiles site. While there currently isn't functionality to share folders with External users, this is something we'd like and are looking into adding in the web app.